The Steelers return to Oakland for the first time since 2013 to face the Raiders. The city hasn’t been a welcoming place for Steelers Nation, as Pittsburgh has dropped their last three road games playing the Raiders, dating back to 2006. 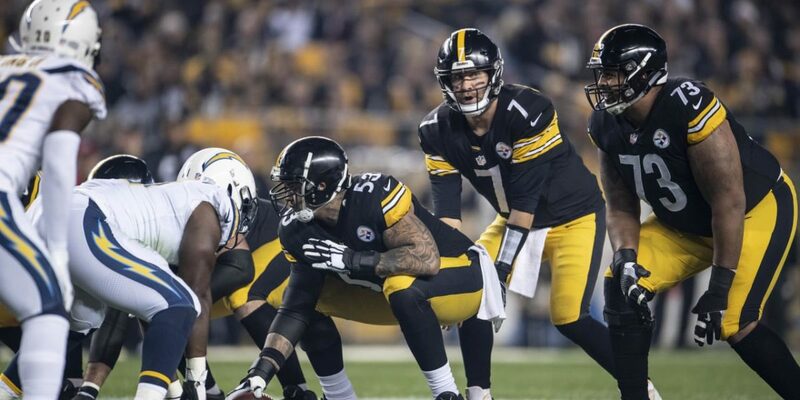 With that in mind, here are five players you should keep in mind as we see if the Steelers reverse their trend of losing: back-to-back games in recent weeks and by playing Oakland Alameda Coliseum. Ryan Switzer returns to this list again this week, as he was with the Raiders during training camp. Jon Gruden and company traded for the shifty receiver earlier this season before swapping him with the Steelers. 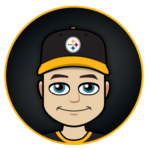 Sometimes we tend to believe in things such as “revenge games” but the larger storyline which looms is that Justin Hunter may not be available and the Steelers have grown impatient with rookie WR James Washington. This may open up more opportunities for Switzer, who appears to have solidified the slot receiver role with the Steelers offense. Big Ben also arrives on this list again this week, right after playing in a game where he previously called out his teammates to step up. 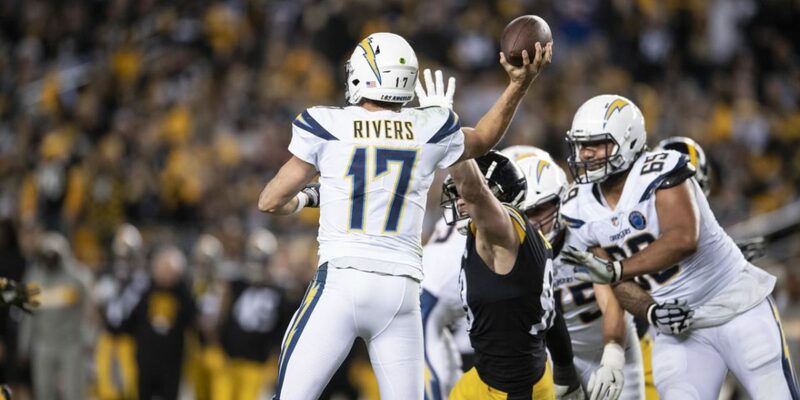 This time it’s up to Roethlisberger to step up his game, after throwing a costly interception and missing a wide-open Justin Hunter for a touchdown against the Chargers. 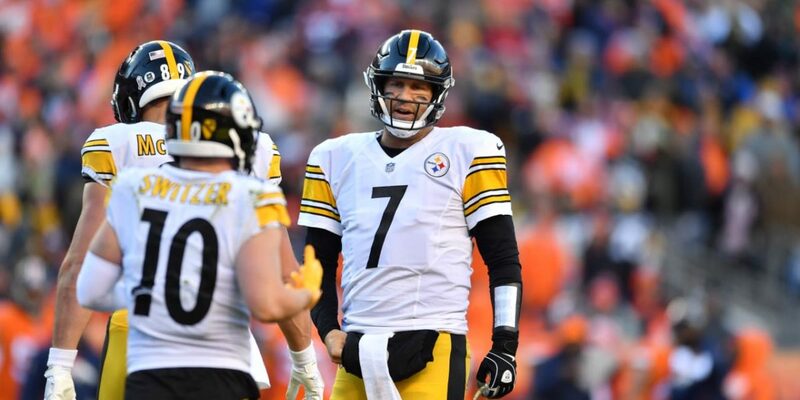 Ben has six interceptions in his last three games after only throwing one in his previous four, and seven in the first nine games to start the season. He’s going to have to clean up his passing heading into the homestretch and this could be the game to do it. Last Sunday Bostic played the least amount of playing time he has all season. I don’t see the Raiders having the same type of offense as the Chargers, where the Steelers were obviously looking to limit LA’s passing game. That should provide plenty of snaps for Bostic this week, who has quietly had a solid season. He may have a chip on his shoulder after standing on the sidelines for 11 of the Steelers 63 defensive plays. Look for him to show it on Sunday. The Steelers have two 1000-yard receivers, but it’s JuJu who leads the team in receiving yards and receptions heading into Sunday’s game. However, he’s had some drops lately, and the Chargers game was his least productive over his last four. I expect Smith-Schuster to bounce back in a big way against a porous Raiders defense. The last time the Steelers traveled to Oakland wasn’t pretty, especially for a kicker named Shaun Suisham. The former Steelers kicker used to be automatic, but missed two attempts in the game as the Steelers lost by three, 21-18. The Steelers current kicker has also had his struggles thus far in 2018. Chris Boswell has missed four field goal attempts and five extra points. All of those would-be scores have had an impact on the outcome of those games, including a tie with the Cleveland Browns and a three-point loss to the Chargers that may have ended differently if LA had to drive for a touchdown rather than simply run the clock down for a last-second kick. All eyes will be on Boswell this weekend. If he struggles on the dirt baseball infield of the Raiders dual-purpose stadium, we could see the Steelers start to get squeamish on sticking with him as their go-to guy.